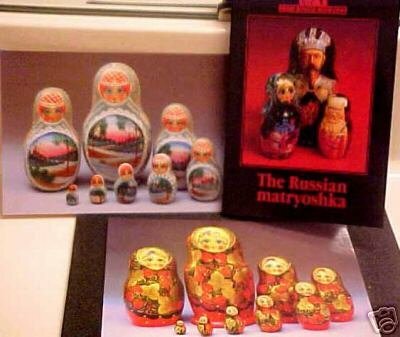 Great set of 10 post-cards with different design of Russian nesting dolls. Introduction articles in English, French and German. Also on the back of each card is short information in English, French and German. Very heavy post card paper, 5.65" x 4.2".